FILE - Graduates celebrate after receiving degrees from the John F. Kennedy School of Government during the 364th commencement exercises at Harvard University, Cambridge, Massachusetts, May 28, 2015. Move over, baby boomers: Millennials now outnumber you as America’s largest living generation. Baby boomers, born between 1946 and 1965, came of age during a period of unprecedented American prosperity – and peril: The omnipresent nuclear threat created in boomers a sense of unease and uncertainty that made the world seem a very threatening place, experts say. Smoke billows from the World Trade Center's Twin Towers before they collapsed on September 11, 2001, in New York City when today's millennials were too young to understand the event. His study also shows that millennials view Asia, not Europe, as the most important region of the world, and China will figure strongly in U.S. foreign policy and perhaps push it in a less adversarial direction. In general, Thrall predicts millennials will steer the U.S toward a more restrained “grand strategy” that relies less on unilateral force than on cooperative ventures. Today, technology may be the single greatest factor shaping the “thumbers' ” – now millennials’ – world view. 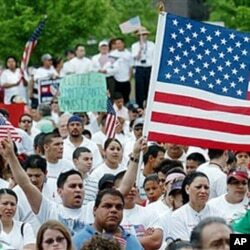 Census data shows America quickly looking more Hispanic. Millennials account for about a quarter of the European Union’s population, according to Pew findings. And in the Middle East, they account for 40 percent of the population and are powering dramatic change from Tunisia to the Gulf States. Thrall points out that Arab youths’ view of the U.S. is so “horrible” right now that American millennials are going to be dealing with the fallout for the rest of their lives. Thrall said it’s too soon to say whether millennials are having an impact on U.S. foreign policy. But Price said he can see already see their fingerprint on foreign affairs. “We see a rise in things like digital diplomacy, which the United States is eager to catch up with some of our world partners on,” he said. “Tools like Facebook and Twitter are used not just by individuals to affect global events, as we saw with the Arab Spring, but in how governments are communicating with their constituents on foreign policy and how governments are trying to highlight and explain their decision making through the use of technology – to reach predominantly millennials," Thrall said. None of this is to suggest that millennials all share the same viewpoints. “There are just as many big differences among Millennials as there are with any generation,” Thrall said. His study shows millennials are just as divided on core issues as their elders and that we can expect just as much debate over policy in coming years as we see today. Thrall’s study shows millennials, like boomers, are divided between political camps. However, despite their differences, Republican and Democratic millennials agree on the importance of firm policy to help prevent nuclear weapons proliferation, combat terror and reduce U.S. reliance on oil. This screen grab shows Obama's answers to questions posted to his Twitter feed, May 28, 2015. He may not be the right age, but at least one observer suggested that President Barack Obama could be considered the first American “millennial president” – not only for his ability to connect with millennials electronically but for his policy of nonintervention in Syria and Iraq and his pursuit of a nuclear agreement with Iran. “I certainly think every candidate considering a run or already running knows the importance of the millennial generation and is trying to replicate President Obama’s success in connecting with them,” Price said. Price predicts that foreign policy matters will figure more highly in the runup to the 2016 presidential vote than in previous elections and anyone wanting to get into the White House is going to have to know how to connect with millennials on their level. Does he see anyone in the current pool of announced candidates who has that ability?